"My father always said to me I would be a late bloomer," said screenwriter David Seidler, accepting the Academy award last night for best original screenplay. The line got one of the biggest laughs of the night (not that there was much competition). At 73, he had aced his first appearance as a nominee, winning for "The King's Speech" and entered Oscar history: He's the oldest person ever to win that award. Seidler's acceptance speech was one of the classiest of the evening (okay, still not much competition). It was also the most touching. 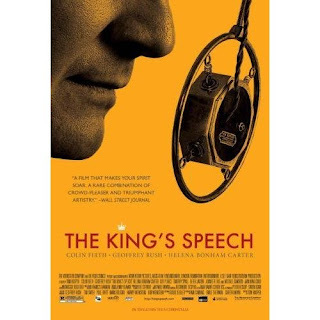 Seidler not only gave voice to those who, like him and the King of England, have had to struggle with a profound stammer. The silver-haired award winner for best original screenplay also gave hope to late-to-be recognized bloomers everywhere. "I believe I am the oldest person to win that particular award," he said, adding graciously. "I hope that record is broken quickly and often." Seidler wasn't the only late bloomer to show up on the Oscar stage last night. Director Kathryn Bigelow returned to hand out the best director award. Last year, at age 58, she, too, had aced her first nomination. Recognition had been a long time comin'. Bigelow originally wanted to be a painter. The daughter of a paint factory manager and a librarian, early on, she imitated the Masters, painting giant segments from their works. She studied at the San Francisco Art Institute and won a scholarship for the Independent Study Program at the Whitney Museum in New York, where her work was critiqued by Richard Serra. Moving to New York, she did a stint as a model, posing for a Gap ad. With towering good looks, she still looks the part. Her film career began when she saw a violent western called "The Wild Bunch" by Sam Peckinpah. "It was visceral," she told an interviewer. "Very, very visceral...you were just enraptured by this material." She enrolled in Columbia University's graduate film program where a professor gave her the word for what she had felt: scopophilia. Unlike painting, a film could make you physically feel what the characters were feeling. She was hooked. Her first film was a 20-minute experimental short she wrote, produced and directed as a Columbia student project. "Set-Up," which featured two men fighting as a voiceover discussed the nature of violence, set the tone for her future films. Moving to Los Angeles, she directed an art movie that introduced William Dafoe, made another movie starring Jamie Lee Curtis, dabbled in acting and married director James Cameron. The marriage was brief, but the two filmmakers collaborated on Bigelow's first financial hit, "Point Break," which introduced Keanu Reeves and starred Patrick Swayze. She continued to make feature films, one which was produced by her now ex-husband, and began to write and direct for television, working with such as heavy hitters Ralph Fiennes, Luc Besson, Lou Diamond Phillips, Sean Penn, Harrison Ford and Liam Neeson. But despite all these big name connections, few outside of the Hollywood inner circle knew her name. Until "The Hurt Locker." After 30 years of filmmaking, the world finally took notice. With "The Hurt Locker," a film starring relatively unknown actors, she returned to the subject of the nature of violence. The story of the Army's elite Explosive Ordinance Disposal unit during the Iraq war capped her the Director's Guild Award for Best Director, the first time a female director was honored by that group. A few days later, the film won Best Picture and Bigelow took home the Oscar for Best Achievement in Directing, the fourth woman to be nominated for that prize and only the second woman to win it. Only the Golden Globe directing award eluded her. That was won by her ex-husband. "There's really no difference between what I do and what a male filmmaker might do. I mean we all try to make our days, we all try to give the best performances we can, we try to make our budget, we try to make the best movie we possibly can. So in that sense it's very similar. On the other hand, I think the journey for women, no matter what venue it is -- politics, business, film -- it's a long journey,"
But Bigelow doesn't by a long shot hold the record for the oldest director to win the Oscar. That triumph goes to Clint Eastwood. In 2004, he took home the award for Best Achievement in Directing for "Million Dollar Baby." He was 74. He had already won the award in 1992 for "Unforgiven" when he was a mere 62.